Only a Licensed Land Surveyor can prepare your Official Map for Recording! The State of California regulates Land Division through the Subdivision Map Act of 1972. In order to legally divide land, whether it’s splitting your lot in two or creating a large Subdivision for Commercial or Residential purposes, you will need a map of the land prepared by a Surveyor. A Record of Survey Map is also required if you need your Property Corners located, but they don’t appear on an existing Record Map. Surveyors Group, Inc. has provided Mapping Services on many high-profile Commercial and Industrial projects in this area. 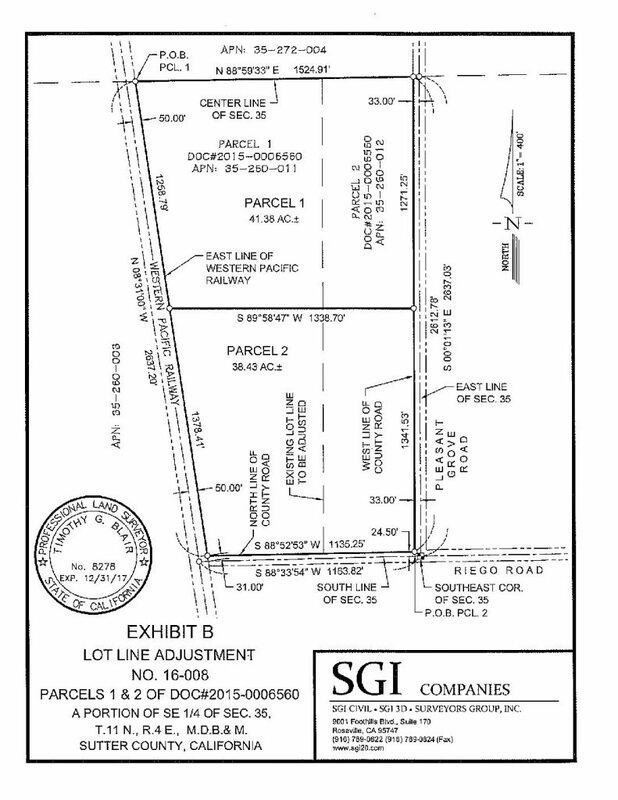 These projects are valuable in that they lead to other work for SGI such as Topographic Surveys for site design of the parcels, Civil Engineering work as the parcels are developed, ALTA/ACSM Land Title Surveys for the sale of the parcels, Lot Line Adjustments/Lot Mergers as the intended use for the parcels change, other Parcel Maps as the new owners may decide to create smaller parcels for their needs and Office Condominium Conversions for the buildings built on these parcels. We’ve mapped out quite a bit of Greater Sacramento over nearly 30 years! SGI has recorded countless Private Parcel Maps in Placer County, Sacramento County, El Dorado County, Nevada County, Yuba County, City of Citrus Heights, City of Elk Grove, City of Folsom, City of Galt, City of Jackson, City of Rancho Cordova, City of Roseville, City of Sacramento, City of Stockton, City of Tracy, City of West Sacramento, and Town of Loomis. 30 Years of Mapping Northern California!